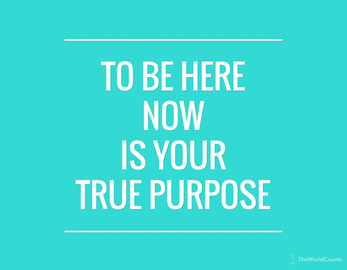 In this video, Eckhart Tolle (best selling author of "The Power of Now" and "A New Earth") talks about finding your life's true purpose. And it may be simpler than you think. 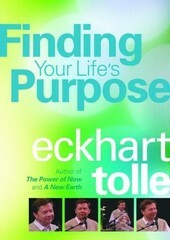 Whereas many authors on the topic of purpose talk about getting ahead or going somewhere, Eckhart Tolle's message is different. Indeed, it is more about to stop what we are doing. And instead be exactly how we are. Here. And now. In this very moment! And there is something about it. Even if our minds tend to object to such simplistic concepts, Eckhart Tolle brings a unique clarity and depth to the notion of purpose - in such a way that it is hard not to feel its power. A power that quite possibly could change your life. We have collected some insights from the video below, which we encourage you to check out. And if you feel a little bolder today, why not get the video now?